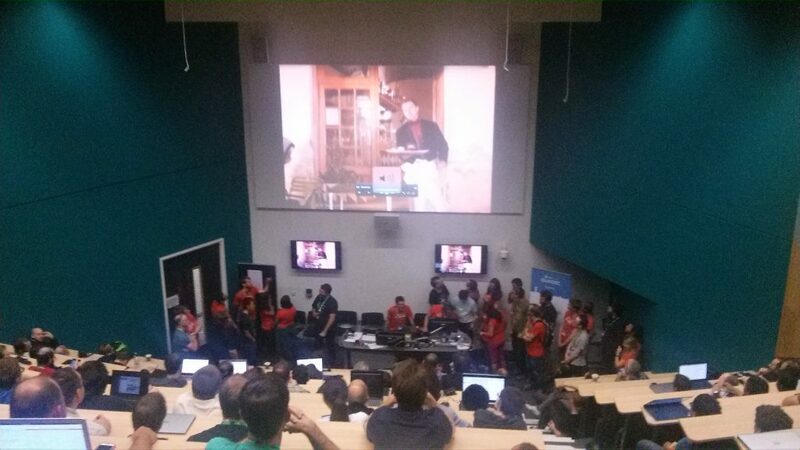 With GUADEC 2017 and the unconference days over, I wanted to share a few conference and post-conference notes with a broader audience. 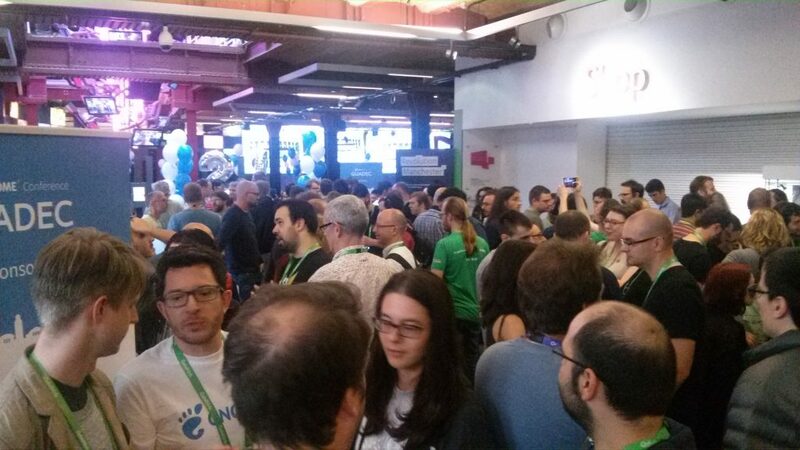 First of all, as others have reported, at this year’s GUADEC, it was great to see an actual increase in numbers of attendees compared to previous years. This shows us that 20 years later, the community as a whole is still healthy and doing well. While the Manchester weather was quite challenging, the conference was well-organized and I believe we all had a lot of fun both at the conference venue and at social events, especially at the awesome GNOME 20th Birthday Party. Kudos to all who made this happen! At the GNOME 20th Birthday Party. As I reported at the GNOME Foundation AGM, the docs team has been slightly more quiet recently than in the past and we would like to reverse this trend going forward. 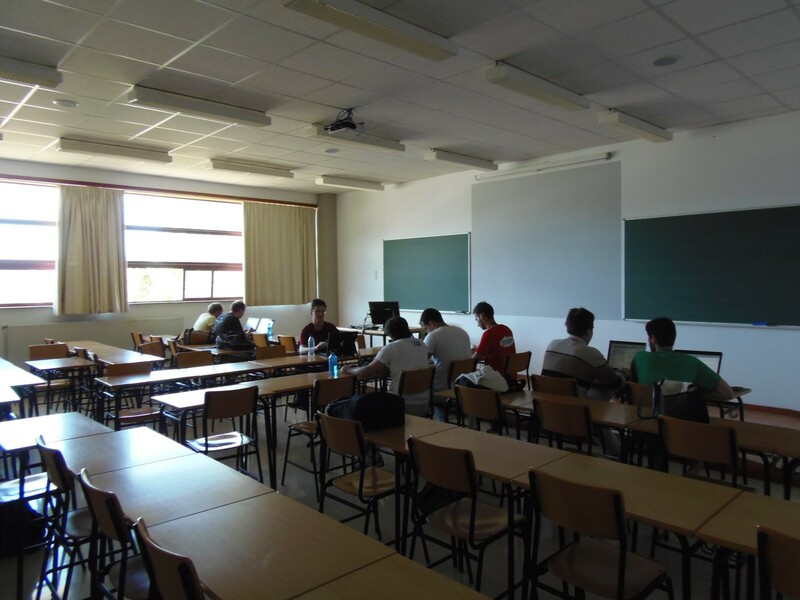 We held a shared docs and translation session for newcomers and regulars alike on the first two days of the post-GUADEC unconference. I was happy to see new faces showing up as well as having a chance to work a bit with long-time contributors. Special thanks goes to Kat for managing the docs-feedback mailing list queue, and Andre for a much needed docs bug triage. Busy working on docs and translations at the unconference venue. Shaun worked on a new publishing system for help.gnome.org that could replace the current library-web scripts requiring release tarballs to get the content updated. The new platform would be a Pintail-based website with (almost) live content updates. Localization-wise, there was some discussion around language packs, L10n data installation and initial-setup, spearheaded by Jens Petersen. While in gnome-getting-started-docs, we continue to replace size-heavy tutorial video files with lightweight SVG files, there is still a lot of other locale data left that we should aim to install on the user’s machine automatically when we know the user’s locale preference, though this is not quite what the user’s experience looks like nowadays. Support for that is something that I believe will require more input from PackageKit folks as well as from downstream installer developers. 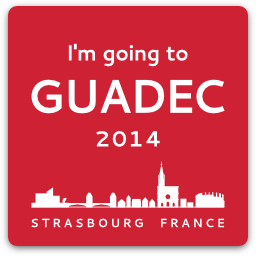 The docs team also announced a change of leadership, with Kat passing the team leadership to me at GUADEC. In other news, I announced a docs string freeze pilot that we plan to run post-GNOME 3.26.0 to allow translators more time to complete user docs translations. Details were posted to the gnome-doc-list and gnome-i18n mailing list. Depending on the community feedback we receive, we may run the program again in the next development cycle. 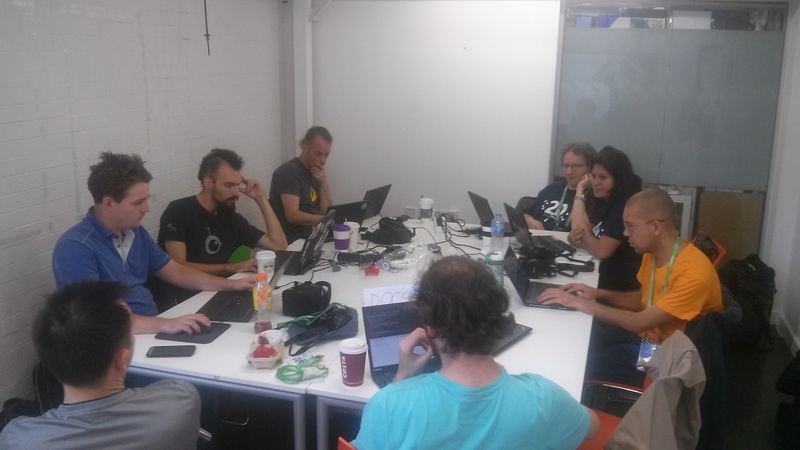 The docs team also had to cancel the planned Open Help Conference Docs Sprint due to most core members being unavailable around that time. We’ll try to find a better time for a docs team meetup some time later this year or early 2018. Let me know if you want to attend, the docs sprints are open to everybody interested in GNOME documentation, upstream or downstream. 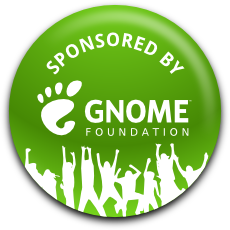 Last but not least, I’d like to say thank you to the GNOME Foundation and the Travel Committee for their continuous support, for sponsoring me again this year. 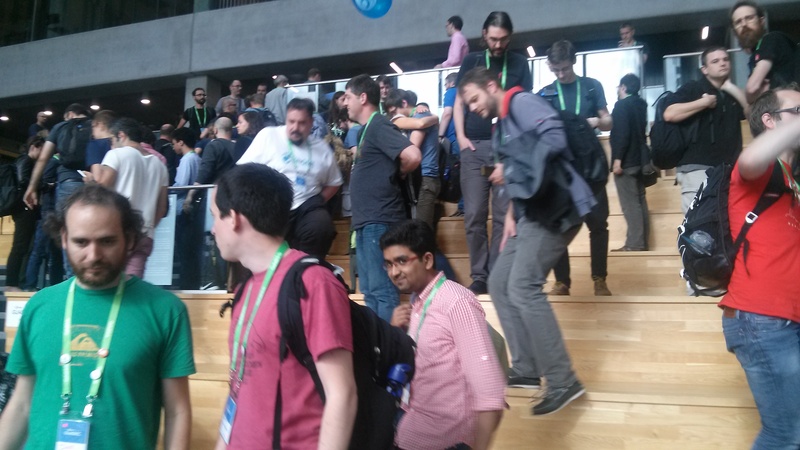 Although this somewhat slipped through the cracks, it’s never too late to socialize the notes taken by Nuritzi Sanchez of Endless Mobile fame during the L10n-i18n-Docs BoF we ran at GUADEC 2015 (many thanks for taking them!). In a nutshell, the BoF attendees, both translators and documentation writers, touched a number topics spanning from screenshot automation (a follow-up from previous year’s BoF) to onboarding, mentoring and improving the projects’ getting started material for contributors, to glossaries, style guides and similar resources. If you are interested in any of those topics, please have a look. Hope the notes can be reused as follow-ups in future i18n and/or docs meetings. On Monday, Kat will give an update from the docs team called Documentation: state of the union. Her talk will detail what has happened in the documentation realm since GUADEC 2013, so be sure to attend. Team Reports on Saturday will include localization and documentation. There will be a screenshot automation BoF on July 30th. 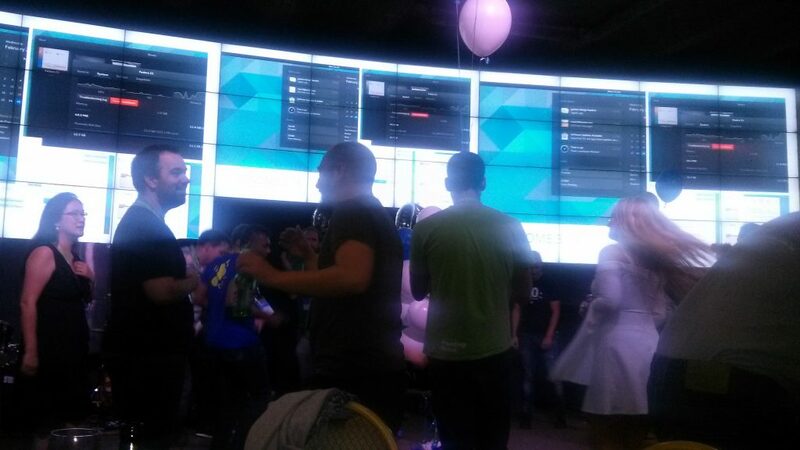 Vadim Rutkovsky from Red Hat’s Desktop QE has some sweet surprise for you, translators! 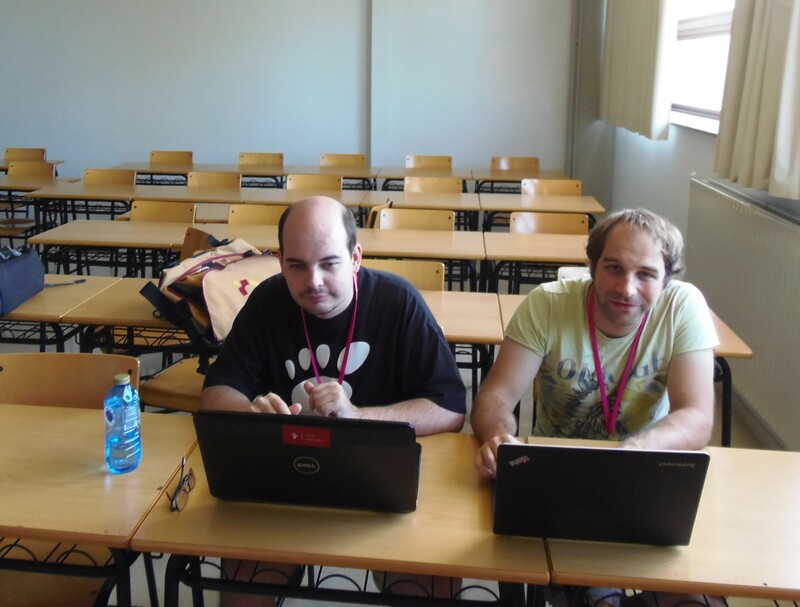 Finally, on July 30th and 3Ist, Daiki Ueno and Alexandre Franke are planning to organize an i18n hackfest to work on translation tools, spellcheckers, dictionaries, input methods, and related fields. I’ll be arriving tomorrow evening with Christian Schaller and other desktop people from Red Hat Czech and leaving on the 31st – hope to see you all in Strasbourg! 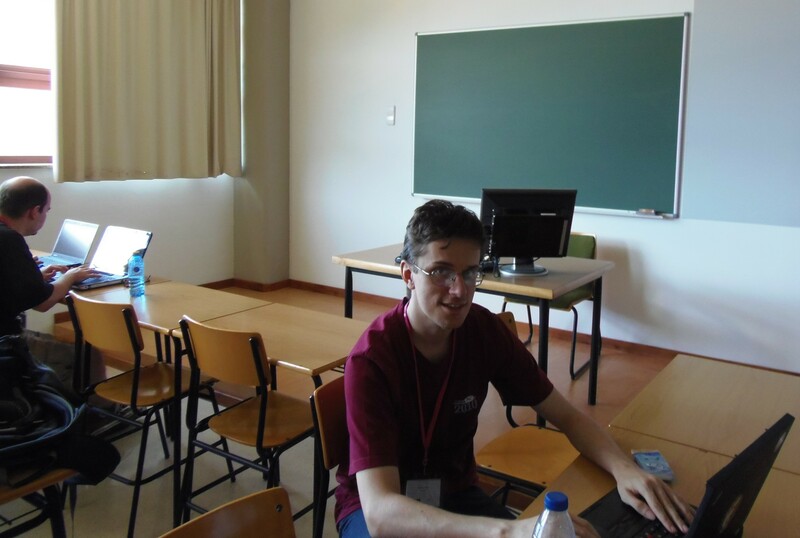 Today was the last conference day of GUADEC 2013 and I have to say that being involved in the conference organization and volunteering has been an amazing experience. I want to thank my fellow organizers, our volunteers and all the people who offered their help to make GUADEC in Brno happen. You were great! This year’s program included a number of talks related to community outreach and documentation. On Thursday, Kat and Sindhu talked about how to get involved in community efforts such as the GNOME Docs. At the Newcomers Workshop organized by Marina and others, I had a chance to meet our newest member of the Czech localization team. 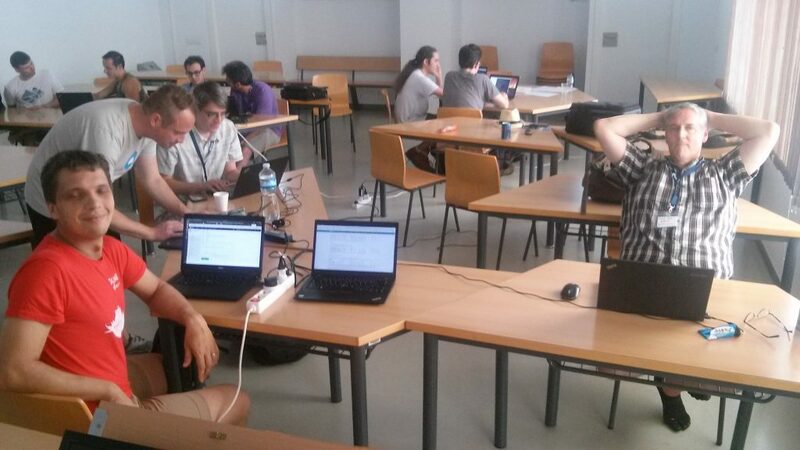 Our team, just like pretty much any other, needs fresh blood, so I was more that happy to see so many newcomers attending GUADEC, including those who are also interested in other aspects of the project than just coding. At the GNOME Foundation AGM on Friday, Sindhu gave an update on GNOME documentation and I talked about what GNOME Localization has been up to since the last GUADEC in A Coruna. Kat gave a talk on documentation on the third day. Later that day, we had a lightning talk session and I talked a bit about Getting Started video tutorials that we introduced in GNOME 3.8. Today, Marta gave a presentation on the developer tutorial for GTK+, followed by Jeff Fortin who gave a talk on PiTiVi and showed us some really funny videos. 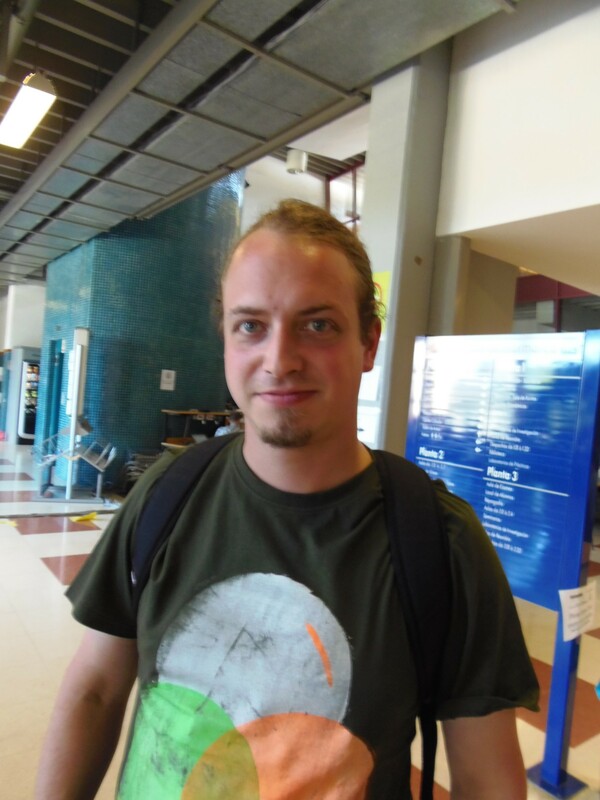 It’s probably needless to say that conferences like GUADEC are special in that you can finally meet in person other members of the teams that you are involved in. Seeing familiar and new faces is always nice. Next week we plan to have a docs hackfest, which will be focusing on the GNOME Desktop System Administration Guide. GNOME translators also plan to discuss some hot topics in GNOME i18n, such as broken translations for the gnome.org website, a l10n workflow for translating Git submodules, auto-committing translation files to GNOME Git repos etc. One of the outstanding issues we had appears to be already fixed – big kudos to Matthias for that. 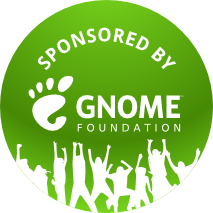 If you are interested in GNOME docs or l10n, be sure to join us for the shared docs & l10n session we will have on the morning of the 6th. So, see you next week! 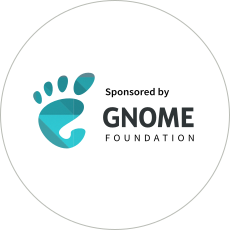 As many people around the GNOME Translation Project know, we are in need of new developers who are willing to work on our translation platform Damned Lies to fix various bugs that we are fighting with, and hack on new features. Gil Forcada, who was recently added to Planet GNOME (welcome! ), also posted some wonderful news about possible new contributors who, if all goes well, will start working on Damned Lies in the near future. Read more on Gil’s blog. Gil, Andre and Rūdolfs already blogged about Monday’s Translation BoF / meeting at GUADEC 2012. We had quite a few items on our agenda list to discuss as you can see from the output of our brainstorming session on this wiki page put together by Gil. Around ten people attended the meeting, with a (not so) surprisingly strong presence of Galician translators. All in all, this was an excellent opportunity to meet other GNOME translators in person after we have been working together on the same translation project for several years. Enough said, let’s have a look at some pictures now. Pictures taken by Florian – thanks! 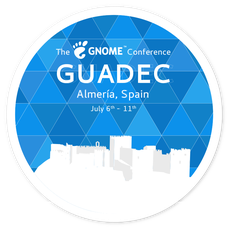 The GUADEC 2012 program was recently published, so it’s time to announce that the GNOME Translation Project BoF proposal was accepted by the organizers (thanks!). 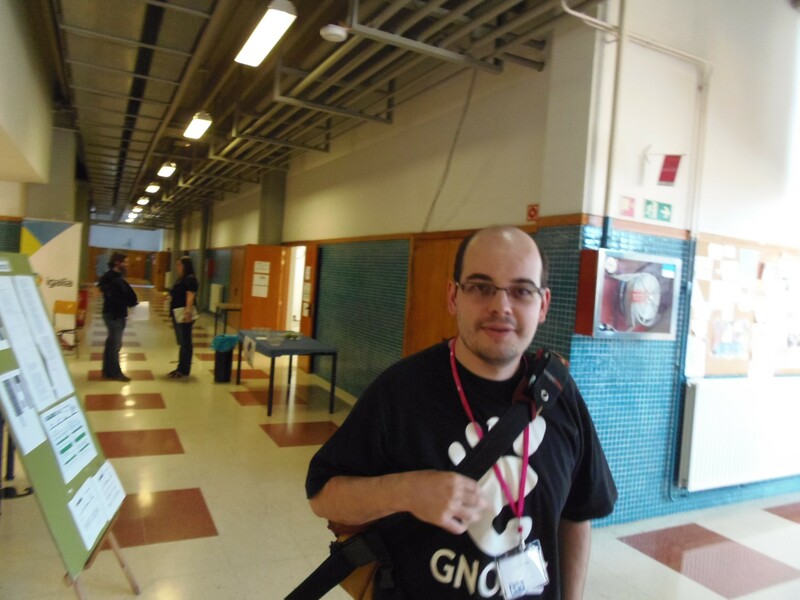 The GNOME Translation Project BoF/Meeting will be held at GUADEC 2012 in A Coruna, Spain on July 30, room 2.2b. The meeting starts at 10:00 am. Everybody is welcome to attend! Please feel free to edit the Events wiki page and share your ideas on what topics we should focus on during the meeting. During Q1 2012, GNOME translation teams worked on the GNOME 3.4 localization. The GNOME 3.4.0 stable release was delivered on March 28. According to the GNOME 3.4 Release Notes, GNOME 3.4.0 offers support for more than 50 languages with at least 80 percent of strings translated, including documentation for many languages. Khmer team increased the translation completeness by 23%. Macedonian team increased the translation completeness by 21%. Canadian English team increased the translation completeness by 13%. In January 2012, there were 1139 translation commits to git.gnome.org as per the GNOME Commit-Digest. In February 2012, there were 1483 translation commits, and in March 2012, there were 3283 translation commits suggesting that many translators were finishing their work on GNOME 3.4 during the string freeze period, which started on March 5. 178 registered languages and language variants. ca. 41000 UI strings for translation in the GNOME 3.4 release set. ca. 21904 doc strings for translation in the GNOME 3.4 release set. ca. 500800 UI strings for translation in all registered modules. ca. 253900 doc strings for translation in all registered modules. The gtranslator team released several versions of the gtranslator translation editor during Q1 2012. The new versions introduce a number of feature enhancements, including support for non-UTF-8 files, more integration with the GNOME 3 platform, and better translation memory support.